What Happened to the Grandsons and Great-grandsons of the House of York? Introduction: Josephine Tey, in her famous murder mystery centering on Richard III, The Daughter of Time, asserts that Richard was not a murderous tyrant determined to eliminate any challengers to his throne; rather it was the aim of Henry VII and Henry VIII to eliminate most of the male descendants of Richard Duke of York. Do the fates of those male descendants actually demonstrate that such was the policy of the first two Tudor monarchs? Shakespeare’s Richard III portrays a king diabolically evil and hideous to see. A hunchback, with a withered arm and a limp, Richard schemes to gain the throne of England, murdering anyone in his way, including his own brother George duke of Clarence and his young nephews, the sons of Edward IV, “the princes in The Tower.” In Shakespeare’s own day his play and its depiction of Richard became so pervasive that a seventeenth-century tour guide at the site of the Battle of Bosworth cried out: “A horse! a horse! he Burbage cry’ded” —confusing the world of play with the actual events, and King Richard with Richard Burbage, the actor famed for his portrayal of the king. 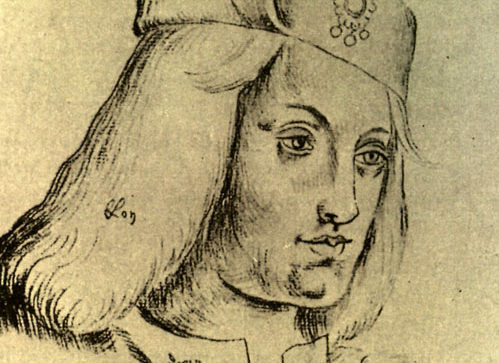 Shakespeare’s version still is the popular perception of King Richard III. However, Shakespeare did not create the character out of whole cloth. He simply combined accounts of Richard and the Wars of the Roses from various Tudor sources. Those sources treated the Wars as brought about by the ambition of Richard’s father, Richard duke of York to seize the throne from the Lancastrian King Henry VI. The Tudors, according to Tudor propaganda, brought an end to 30 years of civil war between the Houses of York and Lancaster, merging the two families through Henry VII’s marriage to Elizabeth of York, the eldest daughter of the Yorkist King Edward IV, the son of Duke Richard.